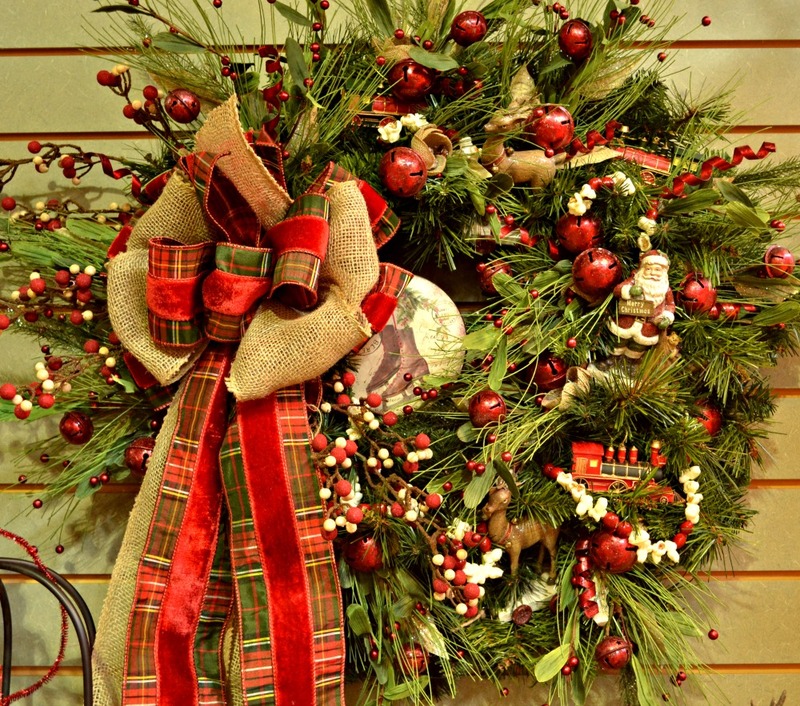 Each year during the holiday season, customers of Fairview Greenhouses and Garden Center experience the wonder and childhood awe of walking through the lighted forest of impeccably-decorated Christmas trees and holiday wreaths that is the artistic vision of Phyllis Rollins. 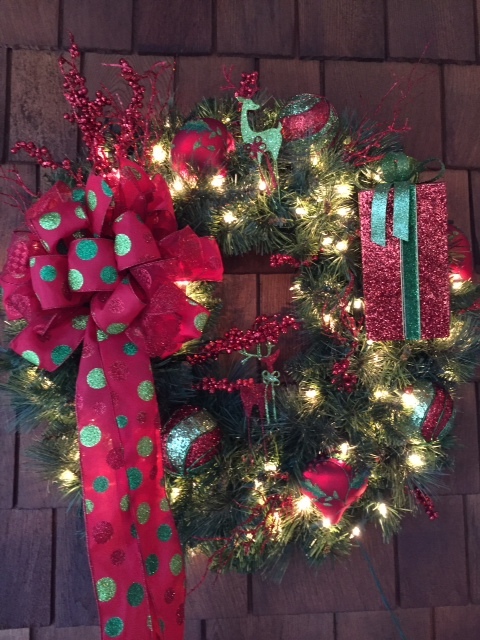 Phyllis has been a valued Fairview team member for 23 years and for the past 6 years has been solely focused on the custom design of seasonal wreaths, garlands and, of course, Christmas trees. She is the pied piper of holiday décor. Even the Grinch would be enthusiastically humming holiday tunes after spending a few minutes with Phyllis as she describes her vision behind each of this year’s 18 individually-themed Christmas trees that adorn Fairview Garden Center. 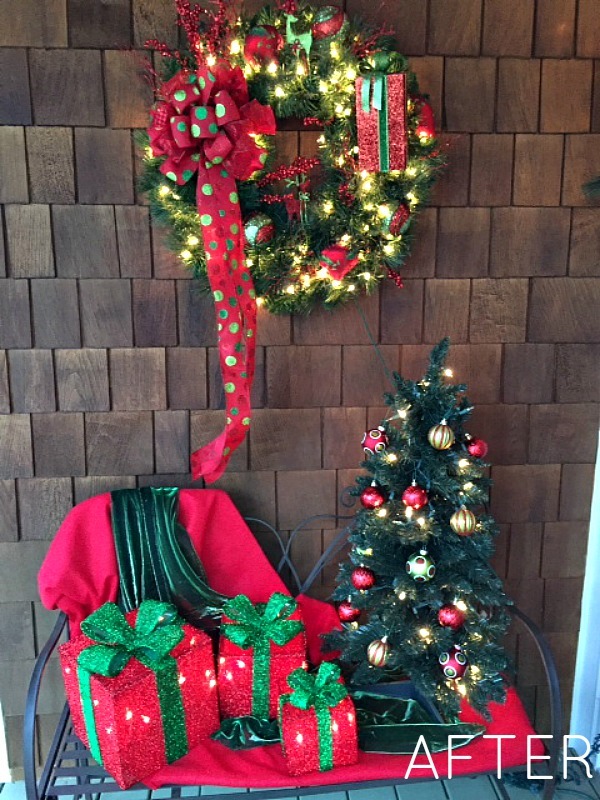 Fairview Garden Center’s holiday store is fully decorated each year by October 17th, with the Holiday Preview Party held annually the first Friday in November. 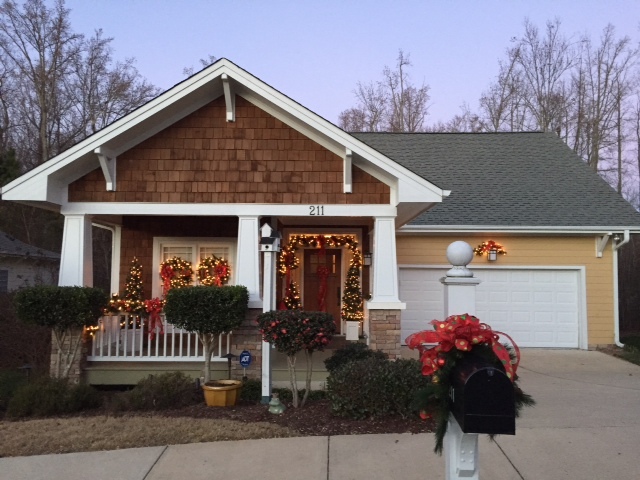 Thanks to the custom services offered by Fairview, Phyllis has designed Christmas trees, seasonal wreaths and garlands for homes throughout Raleigh, Cary, Apex and the surrounding area. 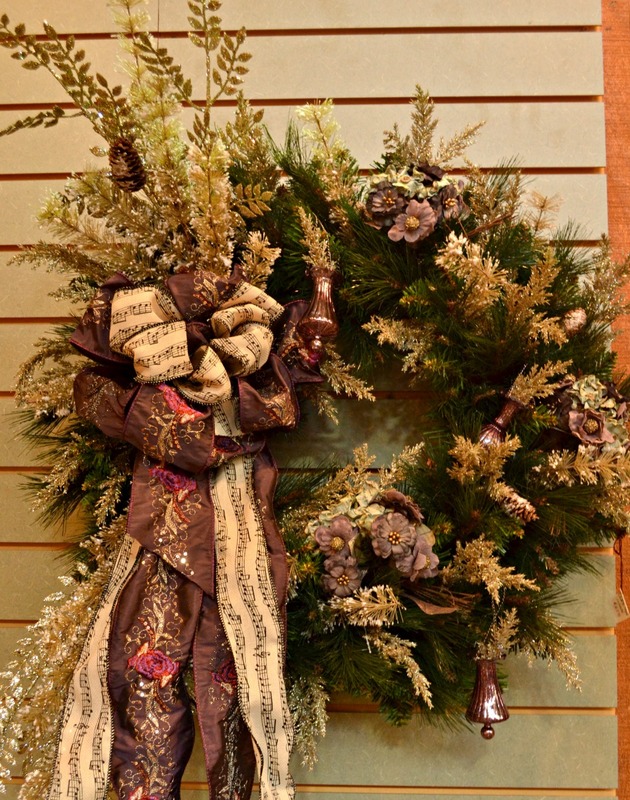 Typically, the holiday décor design process starts when a customer walks into Fairview Garden Center to inquire about having a custom wreath, garland, Christmas tree or complete exterior theme designed for their home. Phyllis will meet with the customer to discuss their favorite colors, preferred style of design (e.g., contemporary, traditional, whimsical), and to look at different samples of Christmas trees, wreaths and garlands on display at Fairview Garden Center to provide inspirational insight and to fine tune the style and color combinations of décor preferred by the customer. 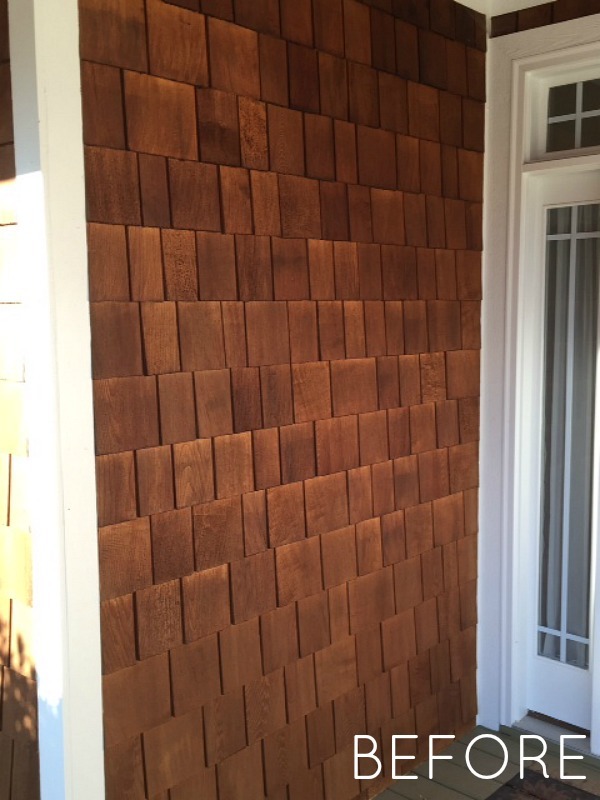 Next, Phyllis asks the customer to describe their home – its colors, design style (e.g., Victorian, Tudor), scale (e.g., one-storey, two-storey). 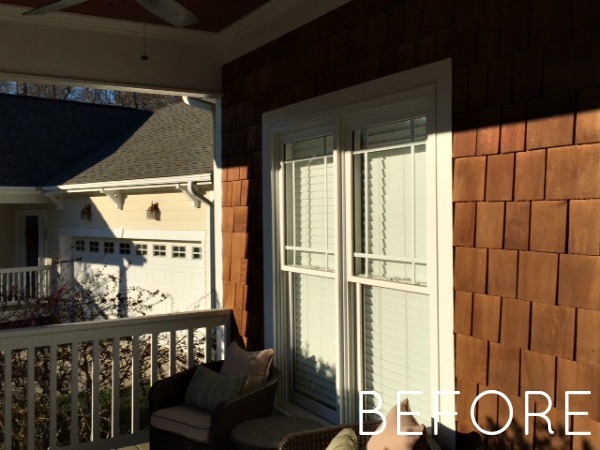 Photos are invaluable – and thanks to smart phones, iPads and other electronic tablets – showing photos (in person) or sharing them (via e-mail) to assist in the design process has never been easier. 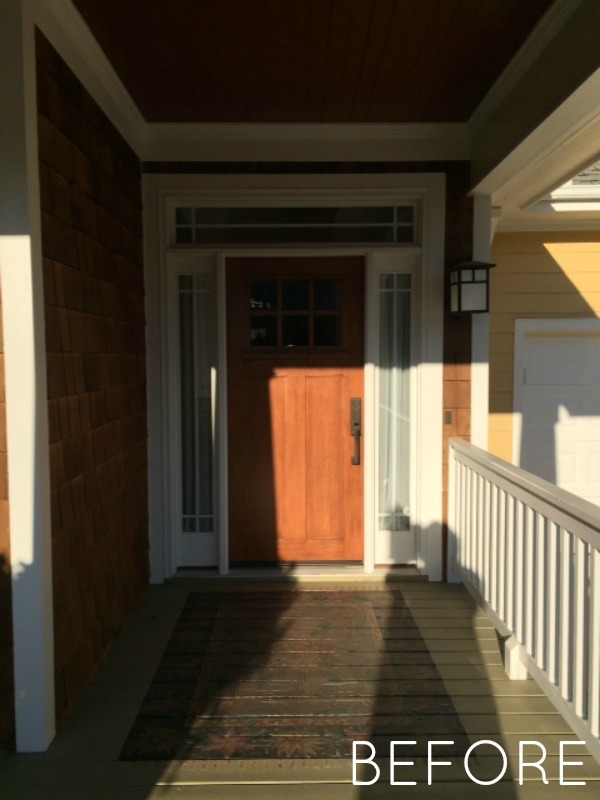 In the case of the design of a home’s exterior décor, photos allow Phyllis to see the scale of the home, the size of its windows (which helps to determine the size of wreaths to be used), number of windows, size and length of banisters, front door specifics (e.g., sidelights, transom, etc.) 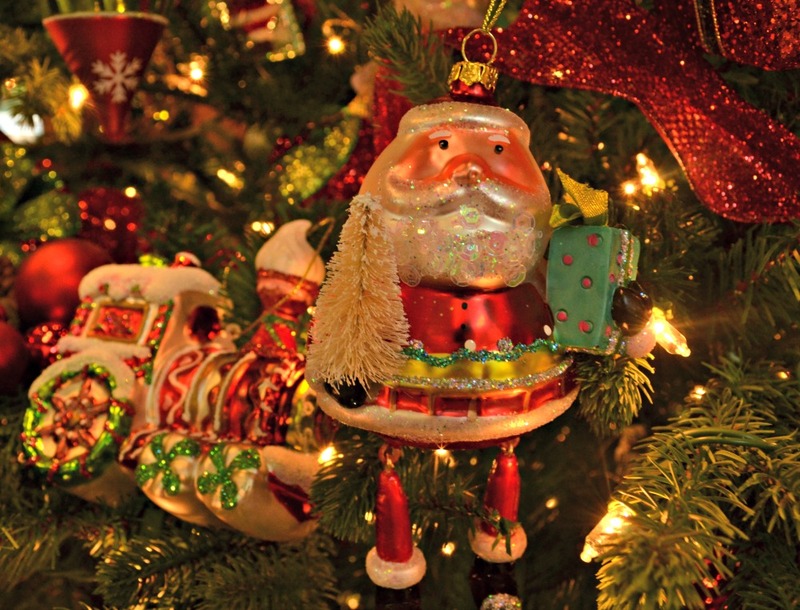 – all elements which serve as a backdrop to the story to be told with the home’s holiday décor. Additional details discussed in the initial design meeting include the customer’s budget and timeline. Within a week, the initial design concept is presented to the customer and, upon approval, the timeline is finalized, deposit placed and the work begins. In viewing the home’s front door, with its sidelights and transom, Phyllis envisioned the structure of a tall Christmas present – and the childlike wonder of opening presents – and with that inspiration, the overall design theme of “Christmas Morning” was born. With “Christmas Morning” in mind, whimsical presents were incorporated into the design elements of the wreaths and garlands. 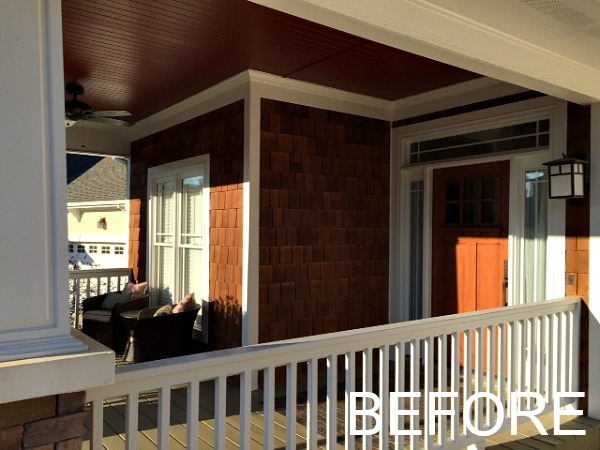 In addition, Phyllis was able to re-purposed some of the customer’s existing holiday décor, such as two 5-foot tall Christmas trees in white box bases. 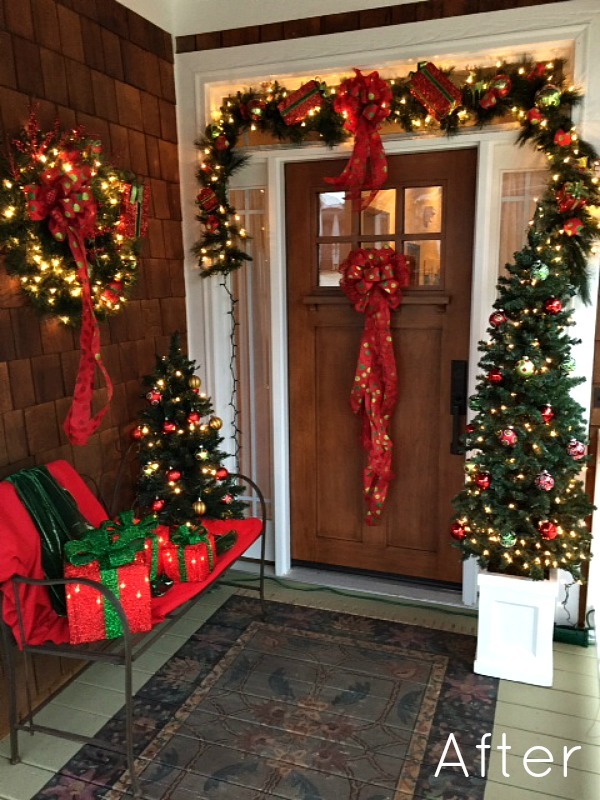 Adjacent to the front door, Phyllis placed a wrought-iron bench draped with green and red fabric along with lighted Christmas presents, and a small-scale Christmas tree. 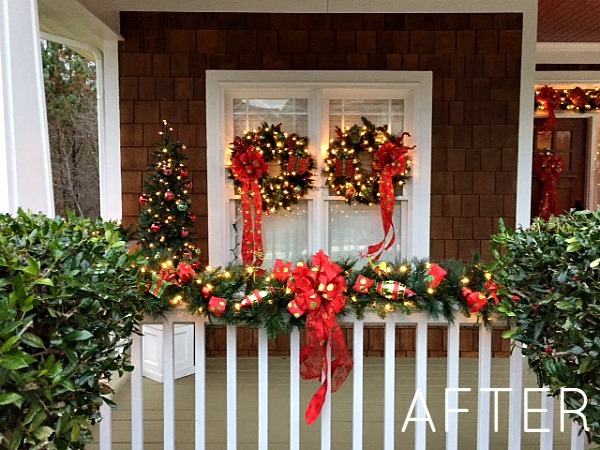 Above the bench, Phyllis hung a fully-adorned wreath and, with those final touches, the “Christmas Morning” vignette was realized. 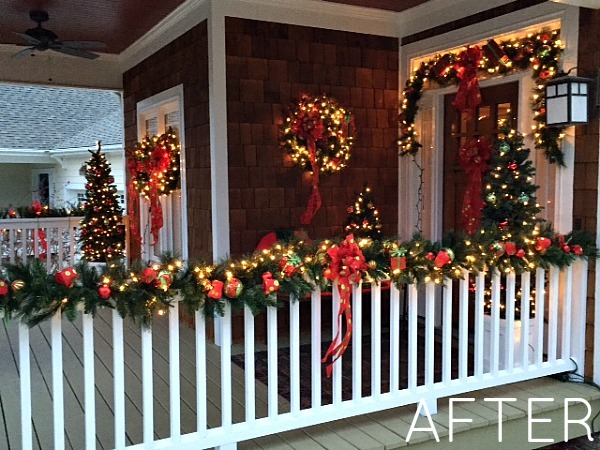 For Phyllis, decorating Fairview customers’ homes in beautiful, custom-designed wreaths and garlands isn’t limited to the holiday season – it’s a year-round affair. A Spring-inspired wreath will help you and your home get through the post-holiday/”I still don’t like that it gets dark so early” lull. So, stop by Fairview. We’re always happy to see you.